Do you know that the CEO of TStv is a Nigerian? Do you know he hails from Imo State? Do you know he is a very young man? Here is the full biography and profile of Bright Echefu, the MD/CEO of TStv . Dr. Bright Echefu studied at the Medical college of university of Nigeria Nsukka from where he left to pursue further studies abroad. He is the MD/CEO of Bricke and Athens limited owners of AHTV-Heath Television. He is the chairman of Bright FM. He is also on the board of Bright Joy Multiventures Limited. Profile of Bright Echefu Ikechukwu, the Owner of TSTV Africa. See Full Bio below. Who is Bright Echefu Ikechukwu? 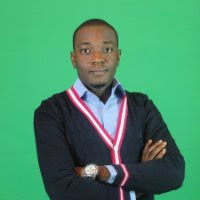 Echefu Bright Ikechukwu is the MD/CEO of TSTV, Bricke and Athens Limited owners of AHTV- Health Television. Bright is also the Chairman of Briechberg Investment Limited, also owns Bright FM. 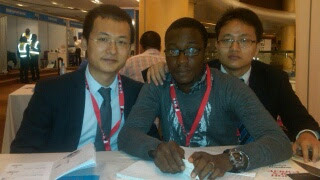 Bright Echefu also seat in the board of Bright Joy Multiventures Limited. He is the MD & CEO: AHTV-Health Television, from November 2014 – Present. Bright Echefu Ikechukwu is a Native of Obowo town in Imo state, South Eastern Nigeria. Bright Echefu studied Medicine at the Medical college of University of Nigeria Nsukka from where he left to pursue further studies abroad. He is a medical doctor by profession and a Biomedical Engineer by practice. Echefu Bright Ikechukwu was the Executive Director, New World Foundation and the Program Coordinator, New World Summit on Infectious Diseases (NWSID 2009). 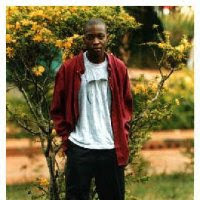 Echefu Bright is a recipient of many awards including the 3rd African Young Scientist Award in South Africa, Youngest Physician Award of Excellence, World Who is Who Endorsement and twenty two others. He belongs to many professional organizations including, the Nigerian Biotechnology Society, Nigerian Society of Genetic Engineers, Global Youth Coalition on AIDS, UN Volunteers, Unicef Voices of the Youths, Thw World Parliament Experiment, the Nigeria Medical Association and so on. As you can see, he is a very young Nigerian entrepreneur. Let's support him in all capacity and believe he lives up to the expectations of Nigerians. Let's patronize made in Nigeria products at least starting with TStv. The Minister of Information and Culture, Alhaji Lai Mohammed, announced this on Sunday night in FCT Abuja at a dinner to mark the official unveiling of the new company. The News Agency of Nigeria (NAN) reports that TStv Africa is a wholly owned Nigerian Pay TV operator with refined offerings of novel Unclassified Pay Per View subscription and complimentary internet services. “The important thing about what Echefu has done is that he has redefined the pay per view television industry and from today that industry will never remain the same again. “What he has done is to democratise the media and entertainment industry and make it possible for even a lower standard people to have access to the best entertainment and news in the world. Him also officially courage the investor for coming from the Diaspora to invest in his country and for believing in the government’s seriousness about diversifying the economy. He said that the company had also demonstrated that government alone could not do all things but needed the participation and synergy of the private sector. “With the liberalisation of the industry, content has become important key because content determines which channels are being watched and which are not. Wow congratulations to TStv Africa this is a great achievement. this man is definitely going to make it because people will want to taste it and see the quality in it.